This soldering kit is intended to provide an easy introduction to the basics of soldering on boards and components. It is very suitable for guided soldering courses in schools and workshops. However, it can also be used very well in holiday programs, in country school homes and other events around the subject of soldering. 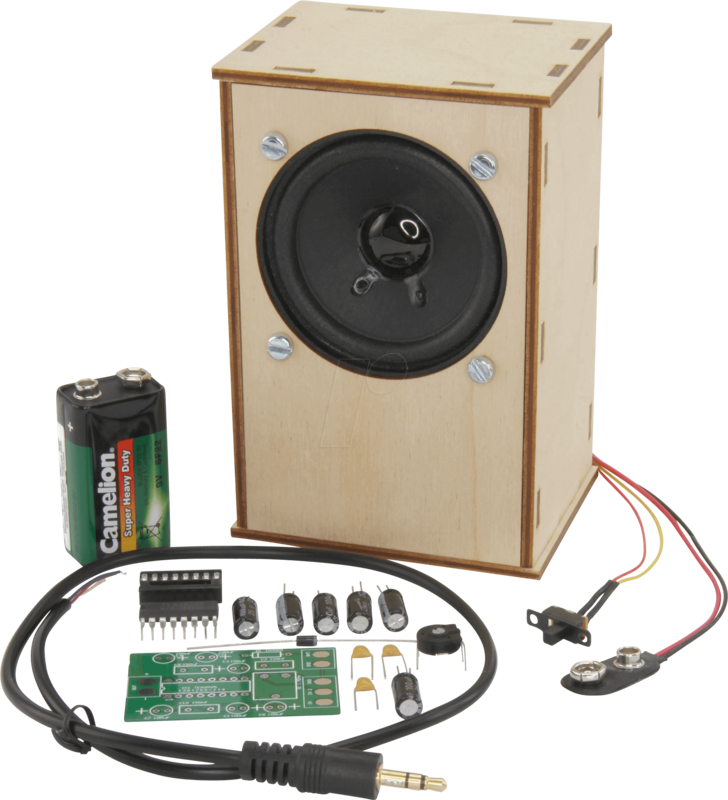 An active loudspeaker with a 5 Watt mono amplifier board will be built. 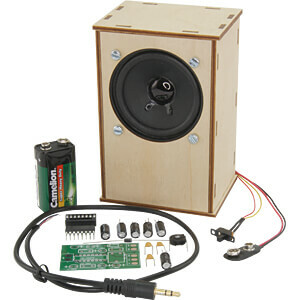 Part of it is beside the amplifier board, which must be equipped and soldered, a complete loudspeaker box. The user also has to assemble this himself. 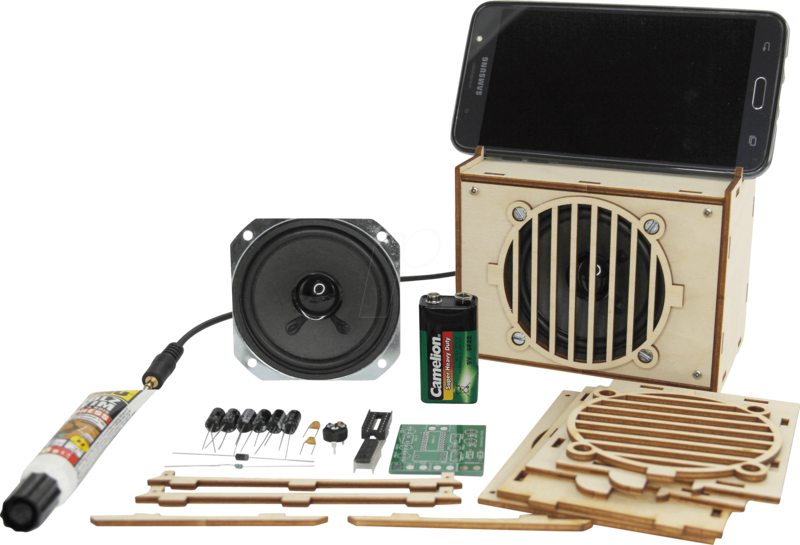 Due to laser-cut precisely fitting wooden components, the speaker can easily be assembled and glued without further woodworking. 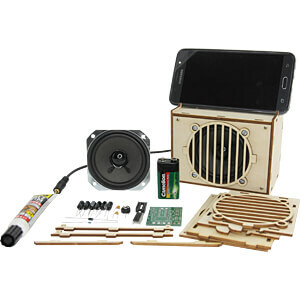 The AKTIVBOX can be connected to the smartphone or MP3 player via the headphone socket and thus turns the headphone output into a comfortable loudspeaker. Power is supplied via a 9 V block. This is included in the set.